Peter is the CEO of the Western Australian Biodiversity Science Institute. Prior to this appointment he was the CEO for the Future Farm Industries Co-operative Research Centre. He has spent much of his career involved in agriculture with specific involvement in commercialisation and management. Previously, Peter was CEO and Executive Director of Interflour Vietnam and has held several Board and senior management positions. Peter holds an M.B.A. from The University of Western Australia, a B.Com (with Honours) from Curtin University and a Post Graduate Diploma in Treasury. 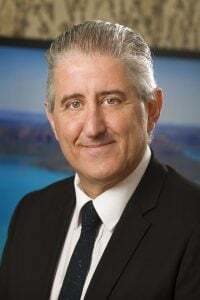 Peter was formerly the Pro Vice Chancellor (Research) at The University of Western Australia and has a strong record of excellence in research and is recognised as a leading international scholar in the field of freshwater ecology. Prior to that Peter served 10 years as UWA Professor and Foundation Director of the Centre of Excellence in Natural Resource Management based in Albany. Now retired, Peter works with WABSI on a part-time basis to provide advice and support to program directors to help shape research priorities. Peter holds a Bachelor of Science with First Class Honours in Zoology and a PhD from The University of Western Australia. With expertise in corporate communications, business development and stakeholder engagement, Preeti has worked extensively in the corporate and not for profit sectors, as well as in consulting. Preeti has significant experience in developing and implementing strategies that build reputation, manage organisational change and communicate effectively to engage with key stakeholders. Having held several senior management roles, Preeti has led high performing teams, developed successful partnerships and worked across diverse sectors including education, mining, information technology, environment, government and not for profits. With a B.A. 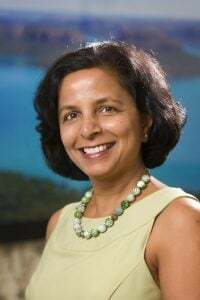 in Communications and an M.B.A. from The University of Western Australia, Preeti is a Graduate of the Australian Institute of Company Directors and is a Non-Executive Director of the Munda Biddi Trail Foundation. Lesley commenced with the Department of Biodiversity, Conservation and Attractions (then CALM) as a Research Scientist in 2004, within the Science Division’s Biogeography Program. 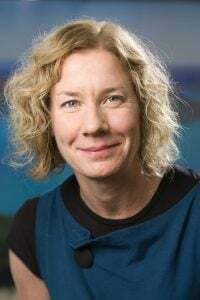 As a survey zoologist for the Department, she has participated in a regional biological survey of the Pilbara and coordinated a major survey of Kimberley islands. In 2014, she commenced in the role as Leader of the Biogeography Program. Before working with DBCA, she was a Research Fellow with Deakin University, Victoria, for 2.5 years, developing predictive distribution models of rare and threatened faunal species. Prior to this, Lesley worked in south west Queensland for 10 years, where she conducted research on macropods with Queensland Parks and Wildlife Service, and completed her PhD on the nutritional ecology of the greater bilby. Lesley has many research interests, but her current focus is on examining the distribution patterns of both plants and animals to help inform conservation actions to protect WA’s unique biodiversity. Lesley admits that she has been privileged in her professional roles in WA, as the opportunities to explore new and remote landscapes blends nicely with her personal love of the great outdoors. Lesley was awarded a Bachelor of Science (Hons 1) from the University of NSW and a PhD from Sydney University. 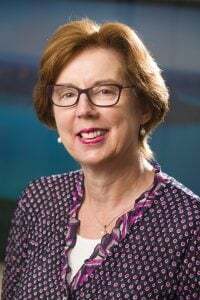 She holds a substantive position of Principal Research Scientist at DBCA and an Adjunct Associate Professor appointment at the University of Western Australia. 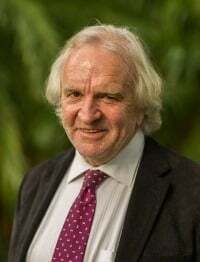 Guy Boggs has been working in natural resource management for over 15 years, undertaking research and working with land managers to improve environmental health and agricultural productivity across Australia and internationally in Indonesia, Timor-Leste, South Africa and Iran. Guy has published over 40 peer reviewed articles, with a research focus on the use of spatial technologies and information to inform our understanding and management of a range of issues for our biodiversity, water and soil resources including land clearing, salinity, erosion, fire management, invasive species, water quality and hydrology. Previously, Guy spent five years with Wheatbelt NRM managing a multimillion dollar program that assisted farmers to maintain a productive and environmentally sustainable agricultural industry and 10 years employed in the academic sector as lecturer/senior lecturer in Spatial Information Systems at The University of Western Australia and Charles Darwin University. 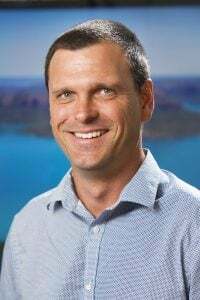 In his role with WABSI, Guy is responsible for working with end users and WA’s leading research providers to better link biodiversity science with improving ecological restoration and species re-introduction outcomes for the state. Guy has a Bachelor of Science from James Cook University, Bachelor of Science (Honours) from The University of Western Australia and a PhD in Geomorphology/GIS/Mining Rehabilitation from Charles Darwin University. Bruce has over 15 years’ experience as a research scientist focusing on the impacts of global environmental change on plant-ecosystem interactions. Since 2009 he has been working with CSIRO in Western Australia to improve on ground outcomes for terrestrial biodiversity. In collaboration with a range of land managers from the south west to the Kimberley, Bruce has led projects that translate novel research findings into improved management solutions to address the biggest challenges at the nexus of landscape change, species invasions and native species resilience. Bruce has published over 50 peer reviewed articles with a focus on the role of plant-ecosystem interactions in shaping community composition. He has led CSIRO’s biosecurity presence in Western Australia since 2014. Previously Bruce spent four years working with the CNRS, the University of York and the University of East Anglia in France and the UK. Bruce has a BSc (Hons I) in plant ecophysiology and PhD in plant-animal interactions from the University of Melbourne. 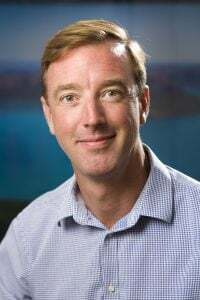 He holds a Senior Research Scientist role at CSIRO as well as an Adjunct Associate Professor appointment at the University of Western Australia. Chris has over twenty years’ experience consulting at a strategic level within the information management industry for natural resources and government sectors. He has specialised knowledge in developing and implementing location-intelligence strategies and leading ICT strategy and implementation planning for resource infrastructure capital projects. Chris has a focus on customer outcomes with his multi-disciplinary expertise gained through years of working in the data management and systems as well as the engineering services industry. 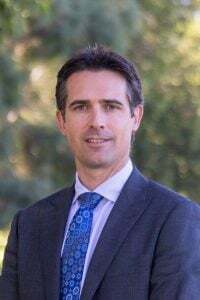 Chris holds a Bachelor of Science from The University of Western Australia, a Graduate Diploma in Technology Management and an M.B.A. from La Trobe University. Eilin has extensive experience providing high level executive and administrative support to senior executives. Her strong administrative background covers education, information technology and banking. Eilin’s previous roles include that of Executive Assistant at the Energy and Minerals Institute’s International Mining for Development Centre, as well as positions in the Vice-Chancellery, Public Affairs and the School of Business at University of Notre Dame, Fremantle and Vice-Chancellery at The University of Western Australia. She has lived and studied in Aix-en-Provence in France and travelled extensively in Europe and Africa.